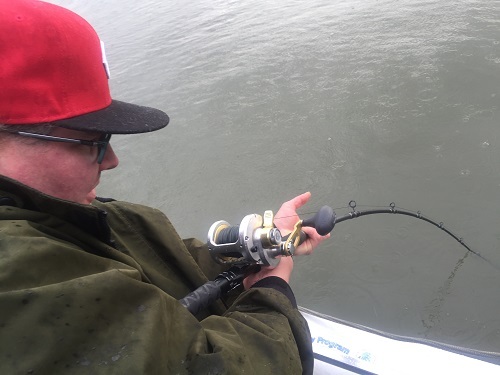 It’s not that October offers the best Sturgeon fishing because it doesn’t. It’s the bonus of great Salmon fishing combined with the good Sturgeon fishing. This is why October has the reputation it does. Great Sturgeon fishing is present the entire open water season. October is a Big Sturgeon month! Ever dreamed of going Salmon Fishing in a place where it’s almost too easy? Well, this is par for the course in the Fraser River Valley in October. It boils down to an abundance of fish and knowing the timing. And fishing is all about timing, and having a experenced guide. So what makes October(and into November) so good? Chum and Coho Salmon is the answer. Lots of Chum Salmon and good numbers of Coho add to the excitement. Chum’s return to spawn every Fall starting around October 1st and run well into mid November. Coho are running from mid September to mid November. So October is smack in the prime time for both !! 2017 Chum Salmon returns forecast to be possible record breaking! Read Article. The Chum salmon will keep pouring into the Fraser River Valley until late November. They are very prolific and aggressive biters. But what makes Chum salmon fishing so appealing is they trigger a feeding frenzy in the White Sturgeon population of the Fraser River. So it’s very easy to hook up with a ton of Salmon and then go play with some dinosaurs who will dish out some punishing battles! 100% success rates for Salmon & Sturgeon in October! Arms get sore in October! 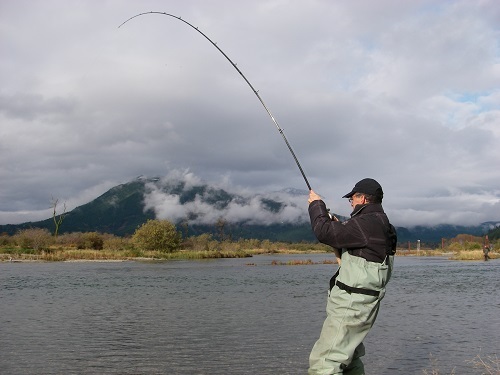 Catch Salmon and giant White Sturgeon on the same day! Chum’s fight tough. They are the brutes of the Pacific salmon kingdom. Combine that with endless hookups for several hours and you’ve got guys complaining of sore arms. But it’s a happy pain! We routinely see our guests hook into 20, 30 and 40 Chums each in a day on the river. But the Sturgeon fishing is equally as good. It’s normal to hook up with a 7 foot beast within the first few minutes of your charter. Then you’ll be fighting that beast for 30 plus minutes, take it to shore for a nice photo and back to repeat the scenario all over. Our angling clients come from all over the world to experience this epic fishing. 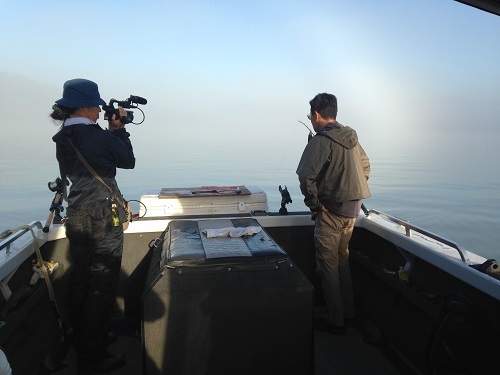 Even sport fishing TV shows travel here to get some wicked footage with us. Anglers from Europe love fishing here with us, but they also travel from Australia, Japan, USA, and all across Canada. Due to the popularity and insanely good fishing it is advisable to secure your dates in advance. Multi day packages are the most popular. Our packages include lodging at the ‘Mission Best Western Plus’ and guided fishing including all premium tackle and waders. 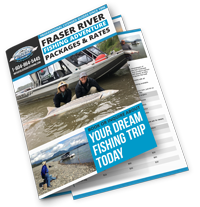 Your lodging is only 2 minutes from the Fraser River and our top name aluminum jet boats. We can also provide airport transfers and daily transfers between the hotel and the marina.